Samsung’s next big thing is here. Samsung has officially just announced the Galaxy S4 during its UNPACKED 2013 event. Galaxy S III users will see a huge improvements over this phone. Samsung upgraded the screen from 4.8 inch in the Galaxy S3 to a 5-inch ( 1920 x 1080) with Gorilla Glass 3 in the Galaxy S 4. Depending on your location, the Galaxy S 4 will either feature a 1.9 GHz quad-core processor or a 1.6 GHz Octa-Core processor with 2GB of RAM. Samsung also made a huge upgrade to the rear camera by going from 8MP to 13MP, 2MP front camera. The phone will be available in 16, 32, and 64GB of internal storage memory with a MicroSD slot for expansion. 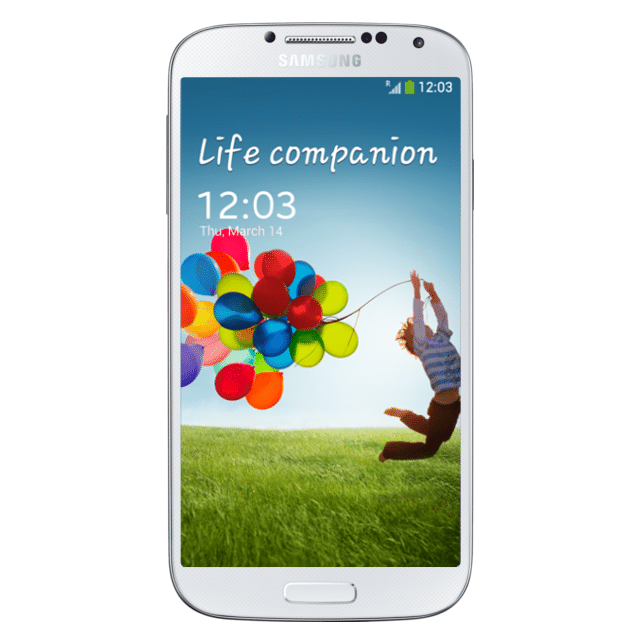 Like the iPhone 5, the Galaxy S4 features Bluetooth 4.0 and infrared LED. All of these will be powered by Android 4.2.2 jelly Bean and a 2,600 mAh. The device weights 130 grams and is 7.9mm thick, lighter and thinner than its predecessor. It be launched in black and white color by the end of April. AT&T, Sprint, Verizon, T-Mobile, Cricket and US Cellular will carry it at launch. You can watch the full event of Samsung introducing the Galaxy S4 in the video below.